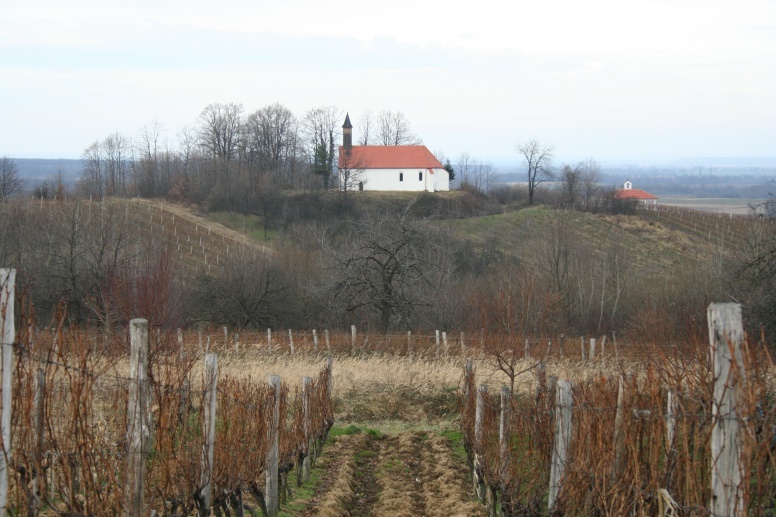 A small chapel of St. Lawrence in Crkvari stands today on an isolated conical hill surrounded by a deep moat, offering a clear view of the surrounding plains. Its basically Gothic architecture, which was modernized in the Baroque, and especially the indicative toponym of the village, attracted the attention of specialists from various disciplines. The continuity of burials at the site spans the 11th and the 18th centuries. A total of 555 graves were investigated, as well as a number of ossuaries and grave contexts disturbed by younger burials. Four basic horizons of burials were distinguished: a modern-period one (the second half of the 16th century until the 18th century), characterized by a great frequency of juvenile, infant and newborn burials; next, the younger phase of late mediaeval graves of the 15th and the beginning of the 16th century; the older phase of late mediaeval graves (13th-14th centuries) and early mediaeval graves and graves from the High Middle Ages (11th-13th centuries). The research provided exceptionally interesting data on the burial rite, costume, health condition, traumas and diseases of the population that was buried at that position through several centuries of the Middle Ages and the Modern period. Crkvari was the site of an important religious complex erected on the foundations of an early mediaeval row cemetery from the 11th century, which grew from a Late Romanesque, probably minor sacred structure into an Early Gothic single-naved hall church. At the height of its construction phase it was expanded into a large three-naved Gothic church with a mighty bell-tower on the western façade, surrounded by a wooden palisade and a deep moat. At the very twilight of the Late Middle Ages and the turn of the Early Modern period, the church, apparently due to Ottoman devastations, lost its former importance and was transformed into a small Late Gothic building to which a sacristy was annexed on the north. The church and the cemetery were surrounded by a stone fence towards the end of the Late Middle Ages and the beginning of the Modern period. In the 18th century the Late Gothic church was once again slightly expanded and the building acquired the shape of a small chapel, which it has preserved to this day. The Gothic building with its several phases of construction may be, it seems, associated with the activities of Nicholas of Orahovica (Ilok) and other members of the feudal family of the Ilok Dukes, Nicholas and his son Lawrence, who resided in the nearby fortified town of Ružica grad. 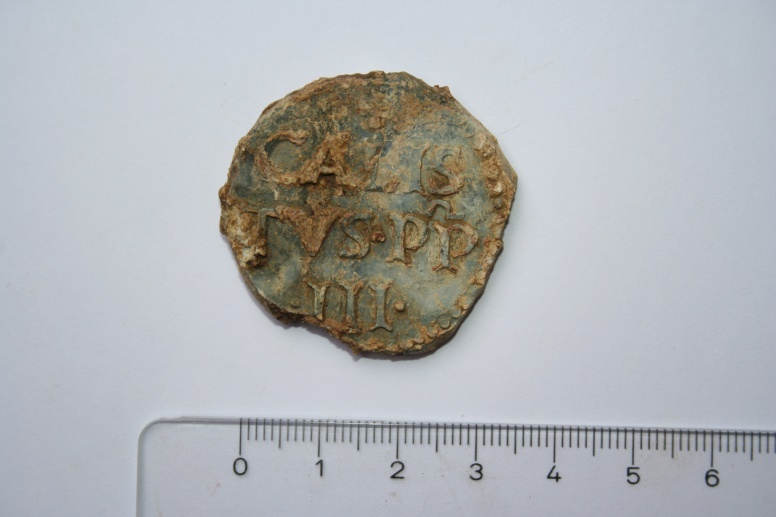 This is corroborated by the finds of coins of Nicholas of Ilok, as well as by the profilations of stone and opposing frames of windows and doors, discovered in the archaeological layers of the ruins of the three-naved Gothic church in Crkvari. Tkalčec, T 2013, Arheološka istraživanja nalazišta Crkvari – crkva sv. 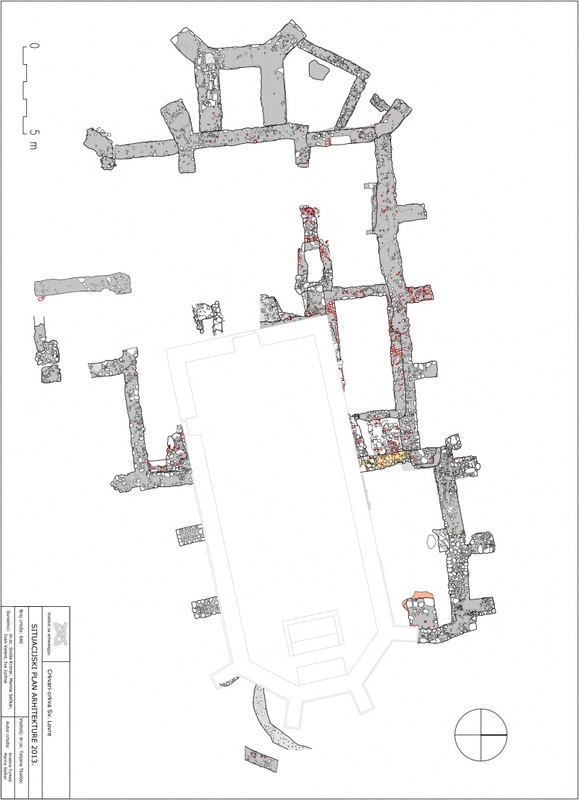 Lovre 2012. godine (Archaeological investigations at Crkvari – St. Lawrence Church in 2012), Annales Instituti Archaeologici, IX, 20-25. Tkalčec, T., Kušan Špalj, D., Krznar, S. 2008, Nalazi tkanine s lokaliteta Crkvari-crkva Sv. Lovre, Textile Finds from the Site of Crkvari – St Lovro Church, Prilozi Instituta za arheologiju u Zagrebu, vol. 25./2008., 119-134. Tkalčec, T., Odabir mjesta za pokop djece u novom vijeku na primjeru Crkvara kod Orahovice, 1. međunarodni znanstveni skup srednjovjekovne arheologije Instituta za arheologiju „Groblja i pogrebni običaji u srednjem i ranom novom vijeku na prostoru sjeverne Hrvatske“, Institut za arheologiju, Zagreb, 4. lipnja 2014., Zbornik Instituta za arheologiju IV, Zagreb, 2016., 161-201. Bedić, Ž., Vyroubal, V., Tkalčec, T., Šlaus, M., A case of childhood tuberculosis from Modern Period burial from Crkvari, Northern Croatia, Podravina, vol. 14, no 28, Zagreb, 2015., 64-72. Tkalčec, T., Posljednja sezona sustavnih zaštitnih arheoloških istraživanja nalazišta Crkvari – crkva sv. 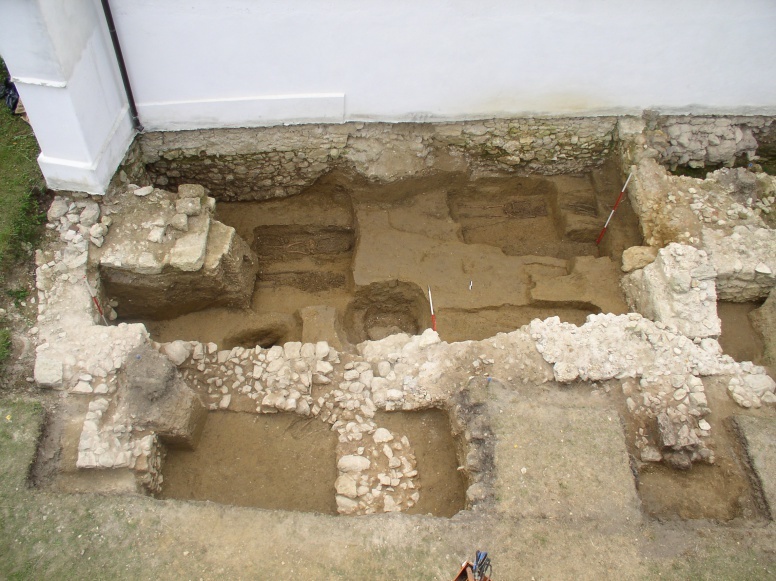 Lovre 2013. godine (The last season of systematic rescue archaeological excavations at Crkvari – St. Lawrence church in 2013), Annales Instituti Archaeologici, X, Zagreb 2014.,73-81.